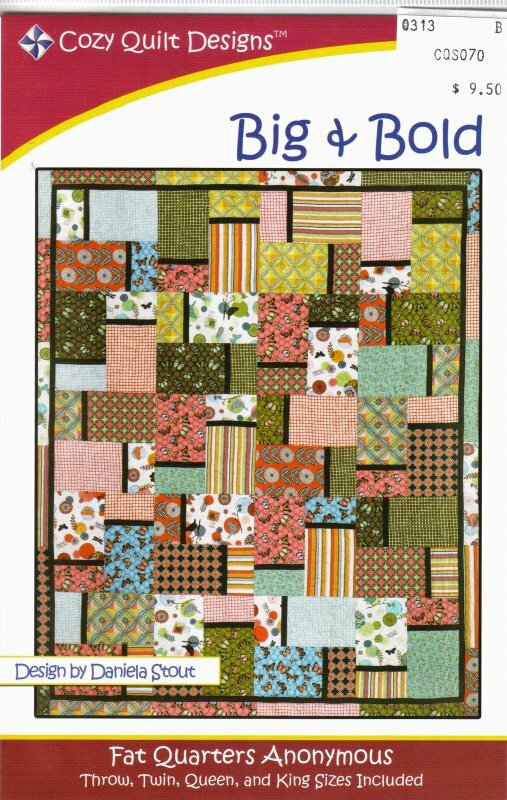 'Big & Bold' is a quilt pattern by Cozy Quilt Designs. 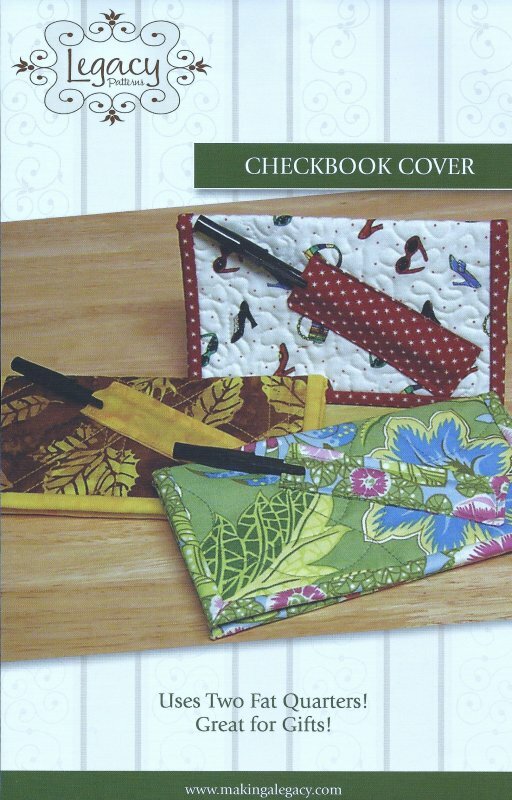 It is Fat Quarter friendly and has 4 sizes included. 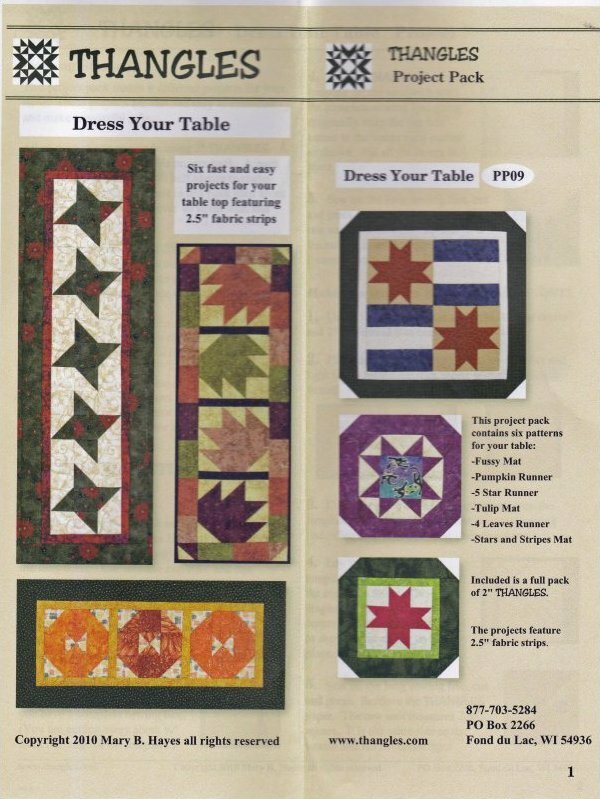 Button Holes by Mountainpeek Creations is a fat quarter friendly pieced quilt that includes fabric requirements for all sizes. 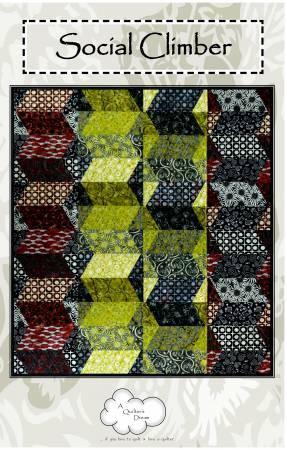 Fourteen On Point from Hunter's Design Studio measures 54" x 68". 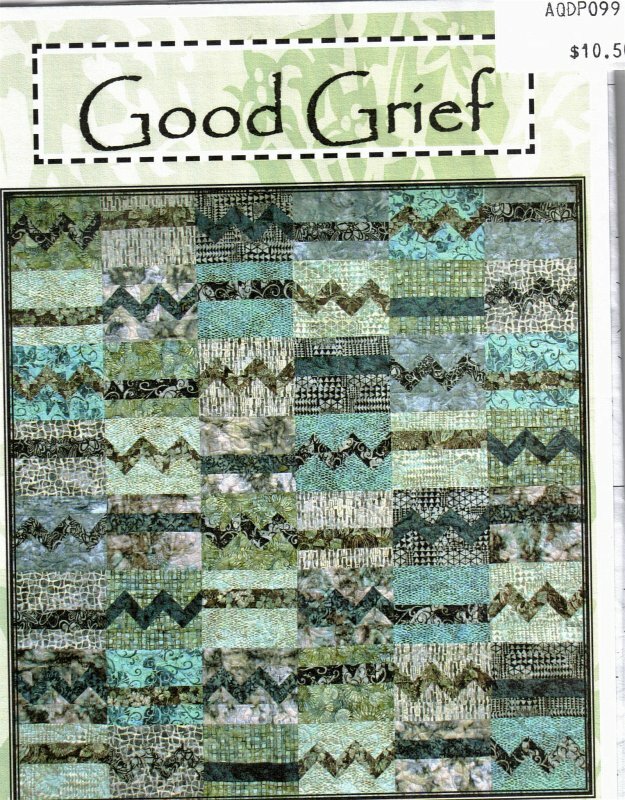 Good Grief by A Quilter's Dream is a quick minimal pieced quilt which includes all sizes. 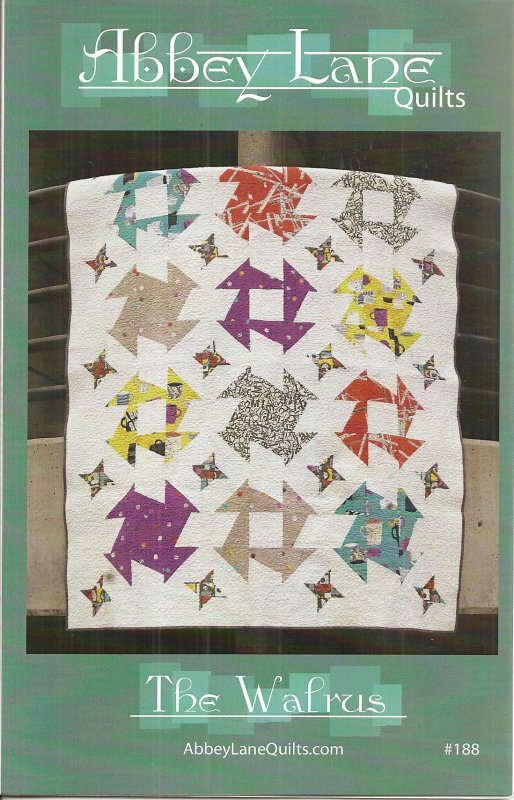 Jo Jo by Abbey Lane Quilts measures 55" x 68". 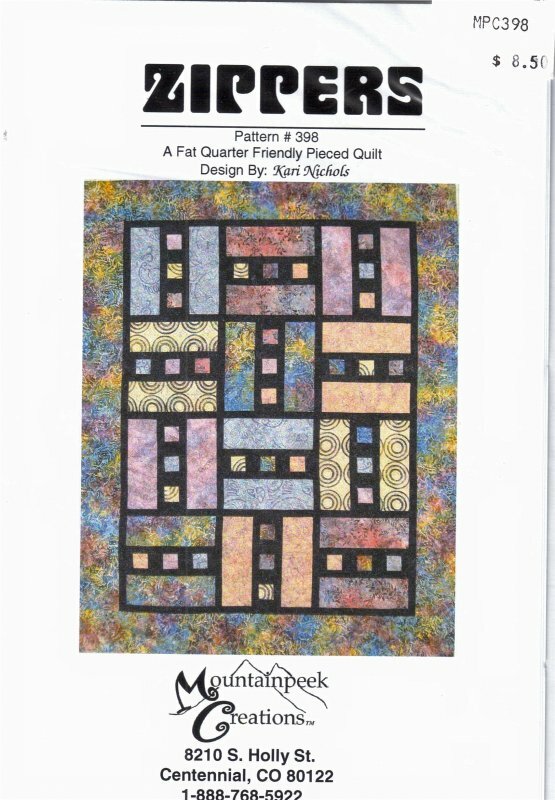 Mirror Mirror by A Quilter's Dream is a fat quarter friendly quilt pattern in all sizes. Oh Snap...Beads! 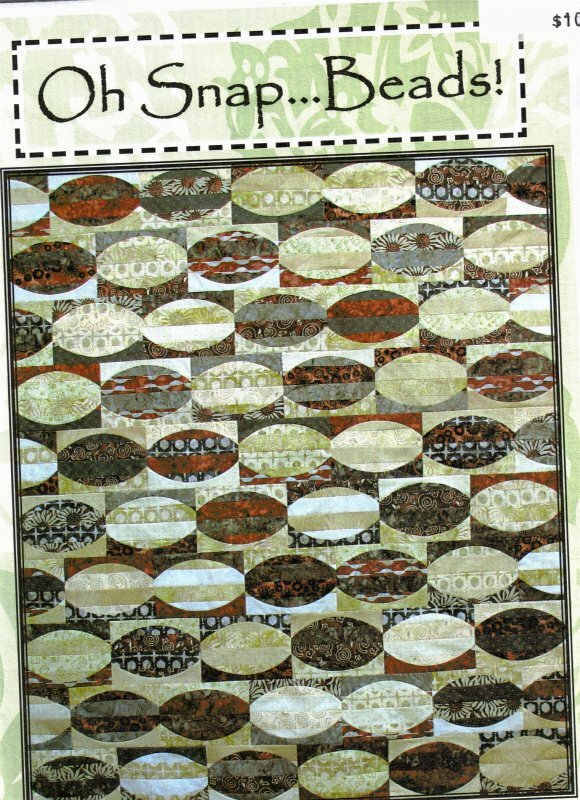 by A Quilter's Dream is a contemporary quilt with gentle curves that is a snap! 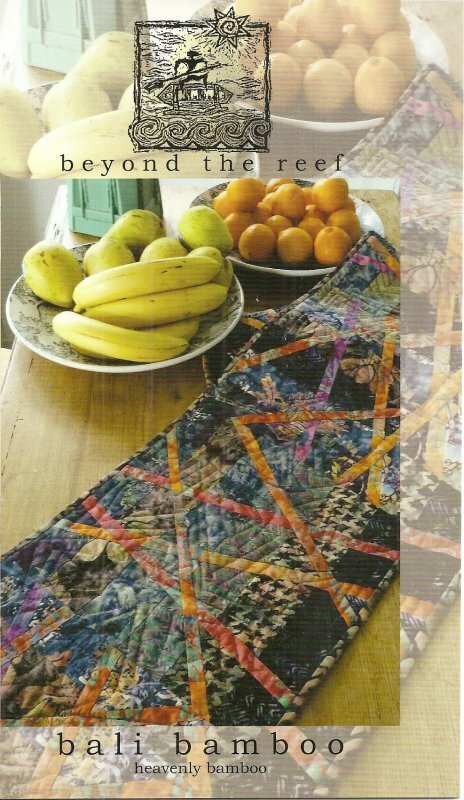 It has all sizes available. 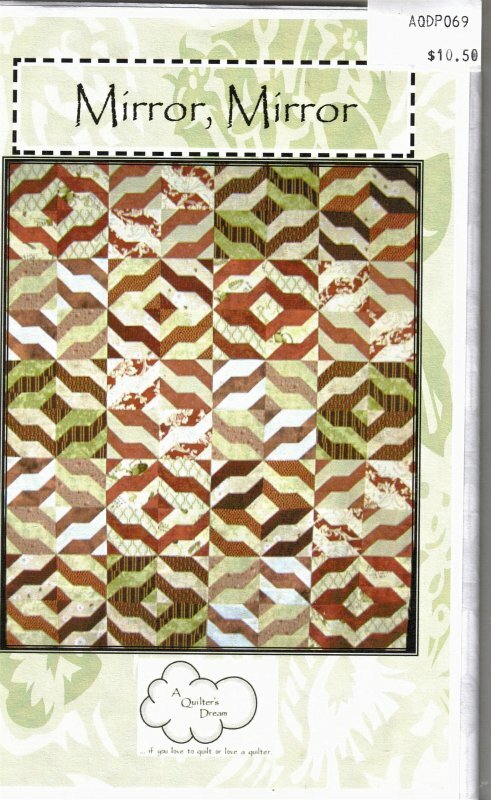 The Walrus by Abbey Lane Quilts measures 61" x 78". 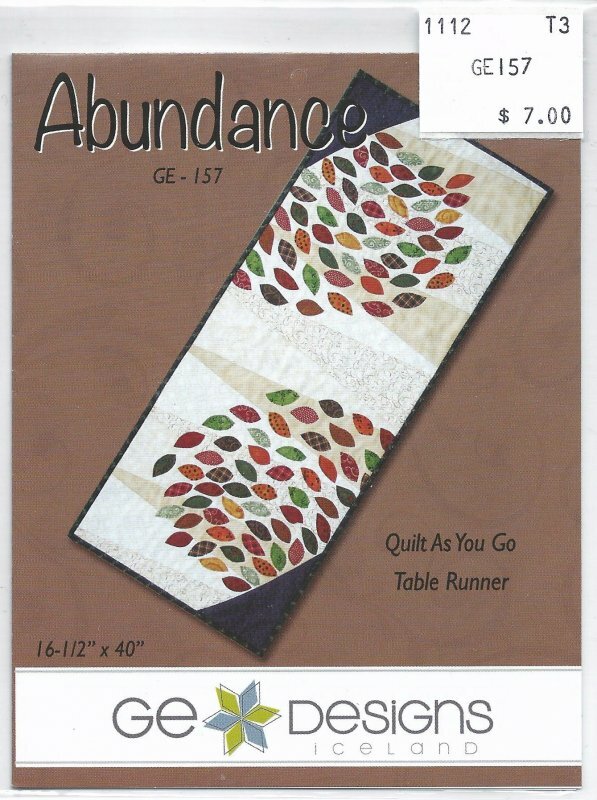 'Abundance' is a pattern by GE quilt Designs. 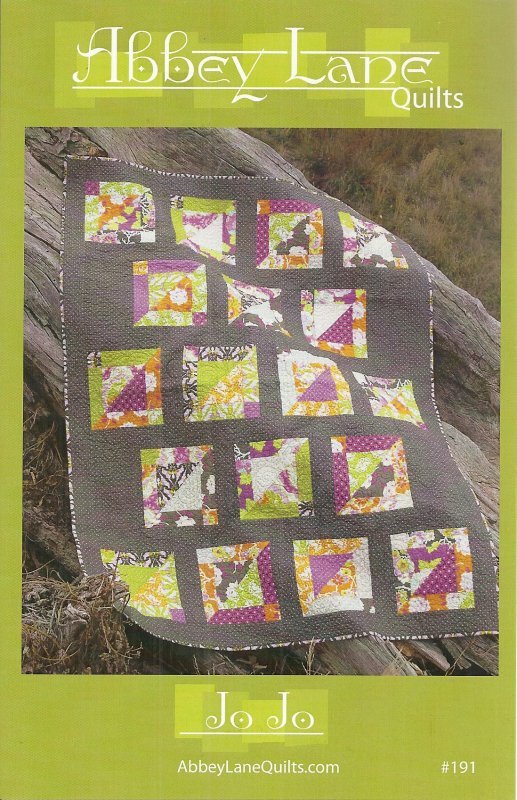 It makes a 'quilt as you go' table runner from fat quarters.size 16 1/2 X 40"
This Pieced Tree pattern 'Blockade' is an eye catching runner for any table. 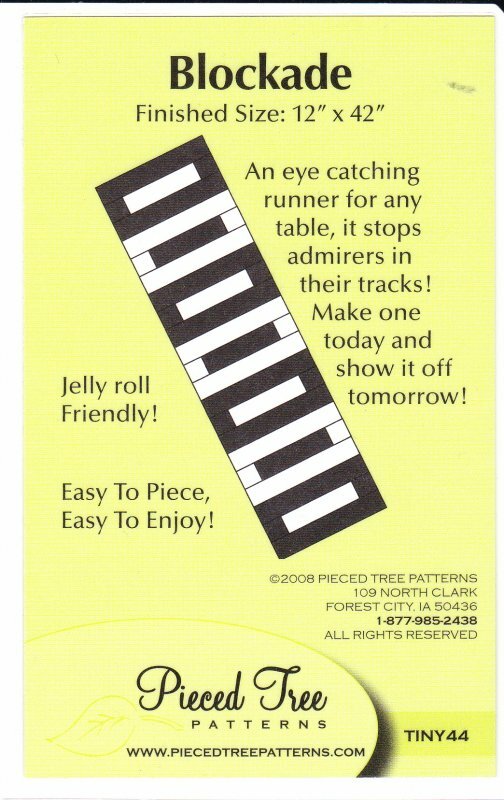 It stops admirers in their tracks. 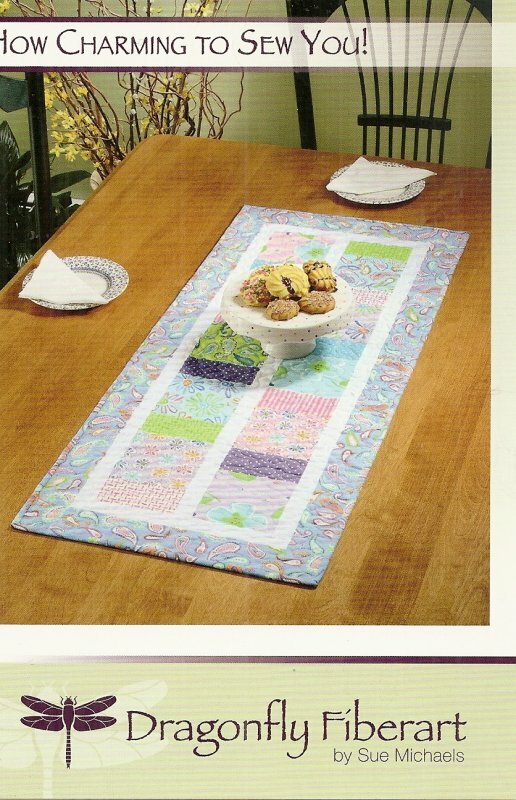 Jelly roll friendly. 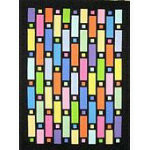 size is 12 X 42"
'Party Girl' is a pattern by Villa Rosa Designs. 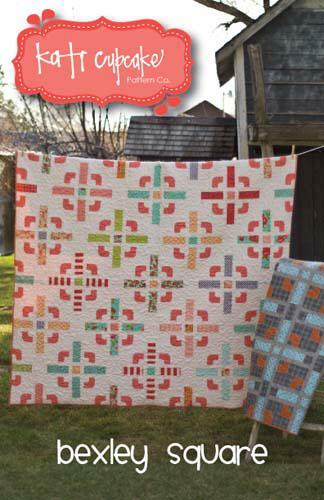 It is layer cake friendly and makes a quilt 72x90"
This pattern 'Square It Up' is by Pieced Tree patterns. 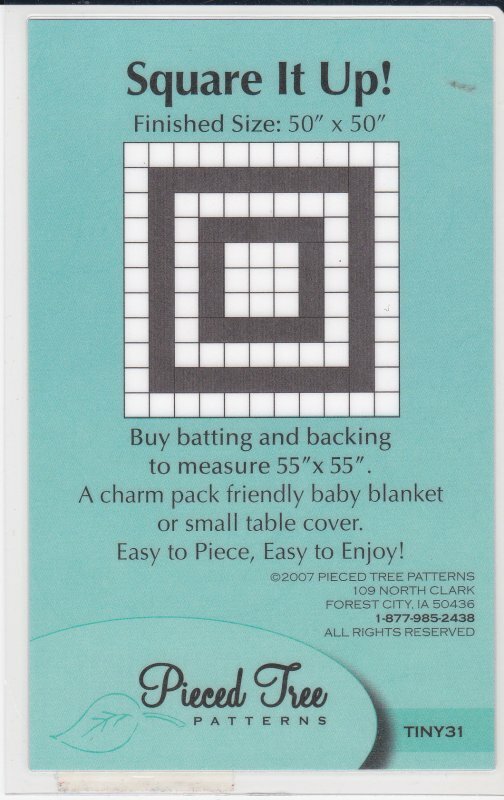 It is charm pack friendly and makes a baby blanket or small table cover that is 50 X 50". 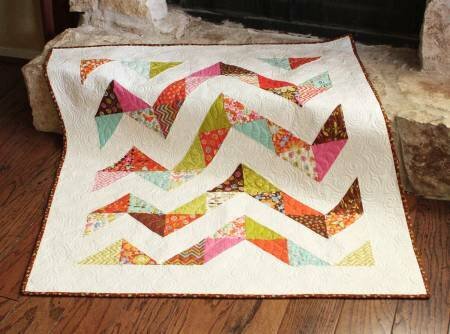 'The Cut-up' can be made from a cut up Layer cake mix in some sashing and you've got a groovy quilt. 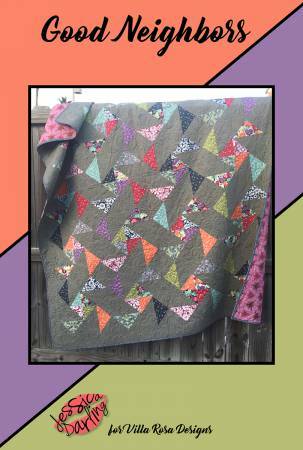 size 69 X 71"
' Too Hip' is a fat quarter friendly project by Kristy Wolf. 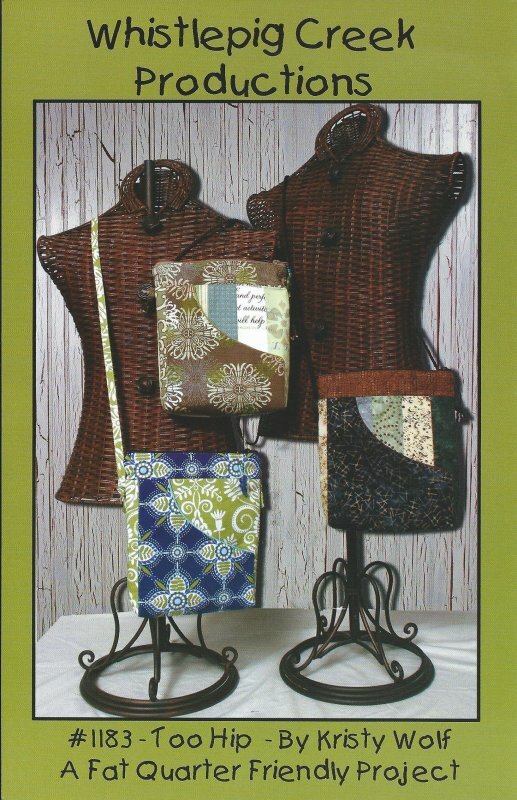 This is a great bag to use up left overstrips from jelly rolls and bali pops. 10 H X 9 1/2 W X 2" D.